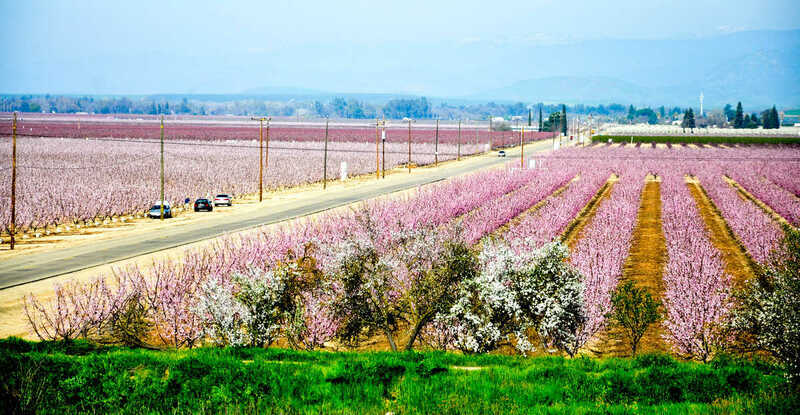 This time of year, California’s Fresno County transforms into a vast sea of nature’s glorious shades and blooms. 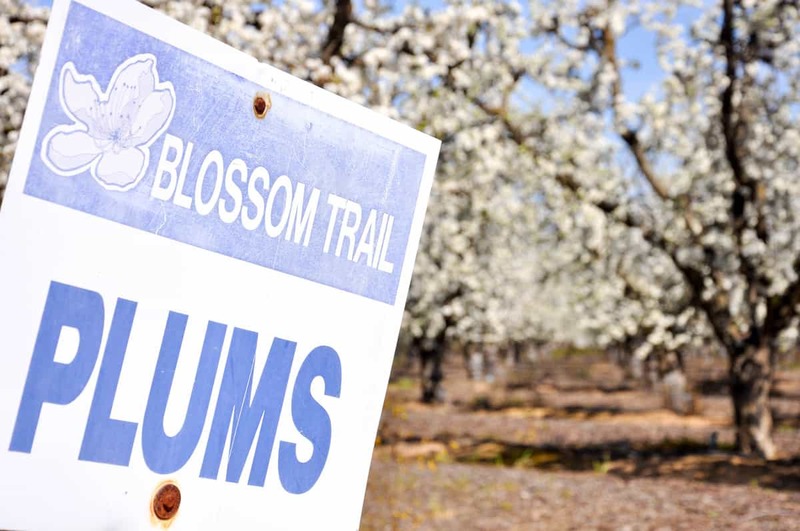 The Blossom Trail was born 28 years ago by the people who live and work in this area. 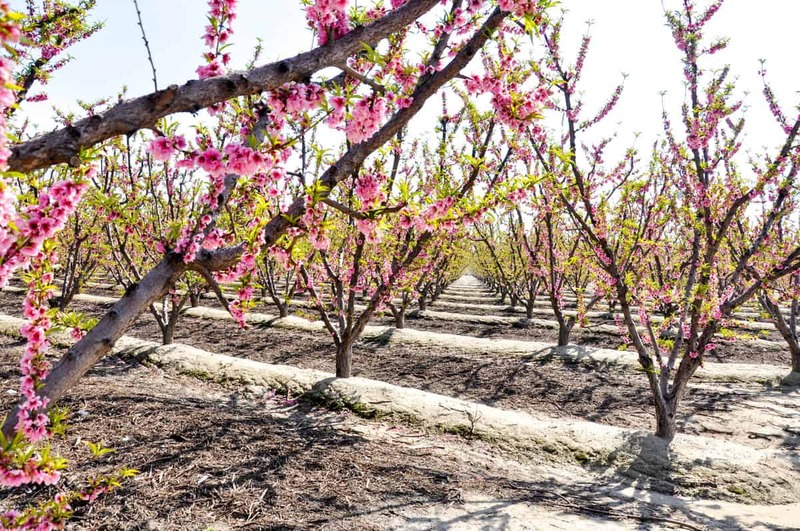 They wanted to make sure everyone in this golden state had the chance to see what they see every day; the wonder of nature and agriculture, harmoniously working together. It really is astounding to realize how our food is grown and cultivated. 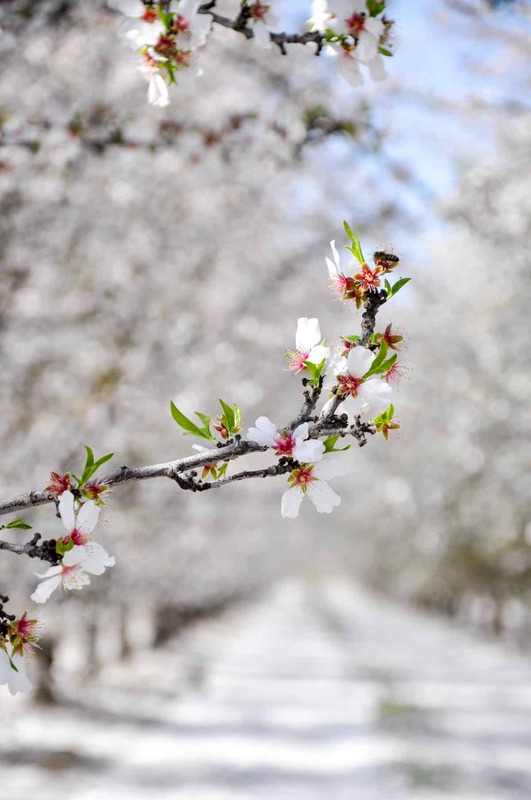 To see the bees working feverishly to gather nectar, not realizing their critical role in keeping these fruit and nut trees at peak production. 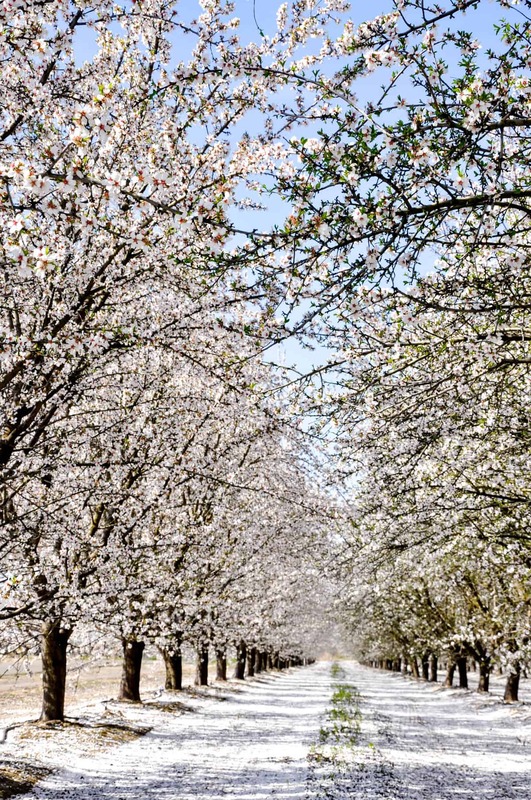 Each tree variety is dressed in it’s own robe of blossoms. Some pink (I counted three different shades in one field), others white with pink stamens, and some white with yellow stamens. 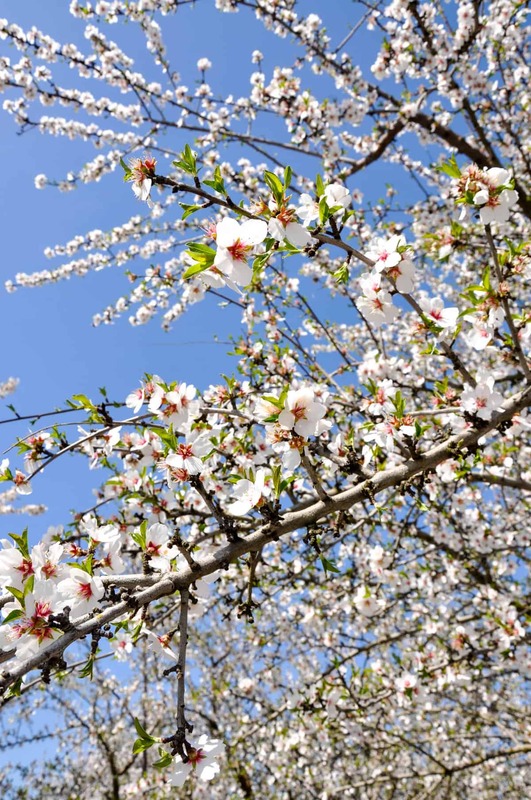 Each blossom representing a different type of fruit or nut. Even varieties within species are different colors, creating an amazing patchwork of hues and textures for the eyes to absorb. 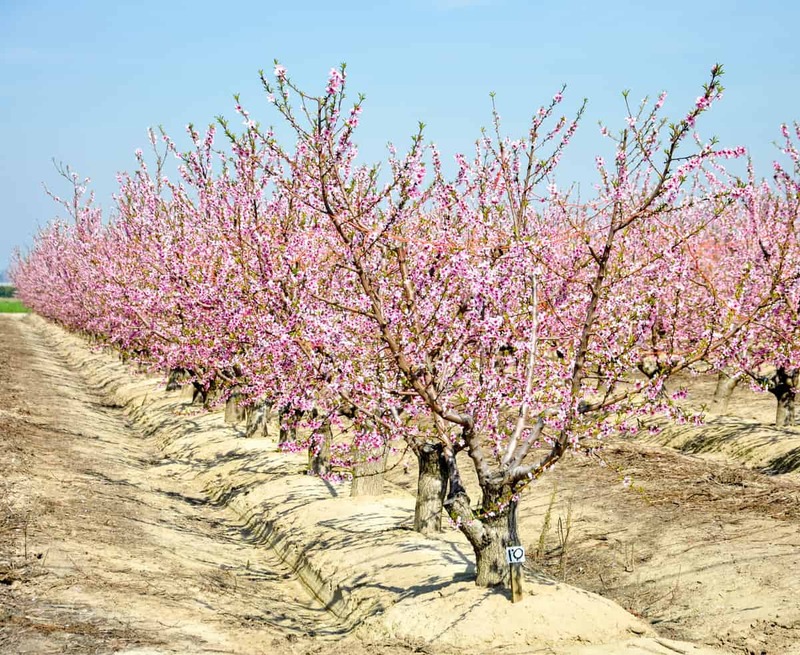 We started our journey at Simonian Farms and picked up or Blossom Trail brochure. It’s a handy guide with an easy-to-read map that highlights a few facts and points of interest along the way. 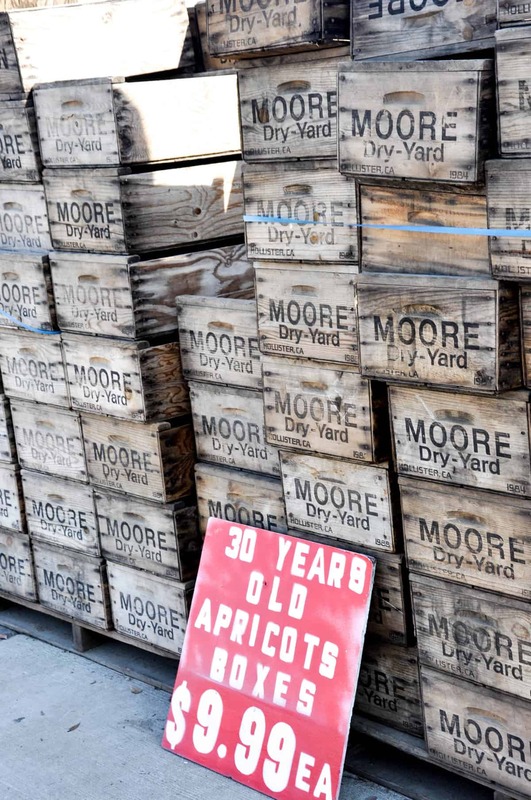 Simonian Farms has been around for generations and you feel like you are walking back in time when you arrive. They offer refreshments and unique household items, but their best offerings are their dried fruits and nuts for the trip along the way. We picked up a bag of dried plums and they were the perfect treat on the trail. The trail is peppered with old, weathered trees, expertly lined up like soldiers. I loved seeing the mature trees with their gnarly branches, forcing out thousands of blooms, despite their age and tediousness of their task. We also spotted a few fields with newly grafted branches. Fresh, eager volunteers clinging to the hardened stumps of their predecessor. Young or old, these trees work hard at forcing out blossoms. You can’t help but appreciate the delicate balance of life while driving through the Blossom Trail. Not to get super philosophical, but hubby and I noticed how each tree had it’s own uniqueness. We noticed that not only is each field and tree variety different, but each tree has it’s own unique shape and story. Each one a little different from the other. The Blossom Trail has a few signs posted in the fields identifying the type of tree that is in bloom. Hubby and I had fun time guessing what each tree was based on it’s bloom color and tree shape. We were pretty good at it towards the end of the trail! I can safely say I know what an almond tree looks like in full bloom from 5o feet away. A few notable points of interest are the stretch just after Parlier on Mendocino, where the trees are on every side of the road and in every color imaginable, and again at the corner of Minkler and Frankwood. From that intersection, there is a dip into the valley that allows you to see the tops of thousands of trees. It is a sea of pink that is hard to capture in a photograph. The view is gorgeous and is the crown jewel of the Blossom Trail. Don’t forget there are plenty of eateries along the way too! Parlier and Reedley, which you pass straight through, have small town restaurants or fast food if you are looking for something quick. If you’d rather take an hour to indulge in a culinary treat, The Schoolhouse Tavern at the corner of Highway 180 and Frankwood is a fabulous spot to take a break. Towards the end of the trail, you can also enjoy the tastes and treats of The Blossom Trail Cafe on Academy! Here is a list of a few other places to visit along the way. I can’t encourage you enough to take a few hours out of your next weekend and take a leisurely drive through The Blossom Trail. Not only will it allow you to get back to nature, but you can learn something new along the way. 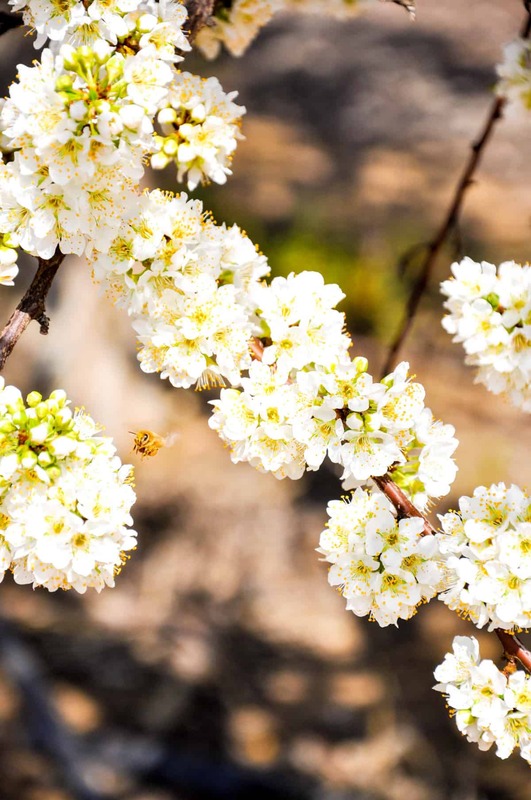 The blooms are peaking from now until the end of March, so plan your trip soon!